But You are not without fault, O Season. I shall tell You wherein lay Your fault. You did not wish, O Season, to confine Yourself to the boundaries of reality. No reality satisfied You. You looked beyond every realization. Not finding satisfaction in reality, You created superstructures out of metaphors and poetic figures. You moved about in the associations, allusions, imponderabilia between things. Every thing alluded to some other thing, and that one appealed another farther off, and so on, without end. Your eloquence was boring in the end. People became fed up with that coming and going on waves of endless phraseology. That's right, phraseology — pardon the word. This became clear when, here and there, a yearning for relevance began to awaken in many souls. At that moment You were already defeated. The boundaries of Your universality became visible, and Your great style, Your beautiful baroque, which was appropriate for reality during Your good times, now turned out to be a mannerism. Your sweetness and Your pensiveness bore the mark of youthful exaltation. Your nights were immense and endless, like the megalomaniacal sighs of lovers, but they were swarms of apparitions, like the ravings of hallucinators. Your fragrances were excessive and beyond the capacity of humans for rapture. Under the magic of Your touch everything dematerialized and grew toward its more distant, always higher, forms. Your apples were eaten while dreaming about the fruits of heavenly landscapes, and near Your peach trees people thought about ethereal fruits that could be consumed by the sense of smell alone. You had on Your palette only the highest registers of colours; you did not know the satiey and firmness of dark, earthy, rich brown. Autumn is the yearning of the human soul for materiality, for relevance, for boundaries. When for obscure reasons people's metaphors, projects, dreams begin yearning for realization, the time of autumn arrives. 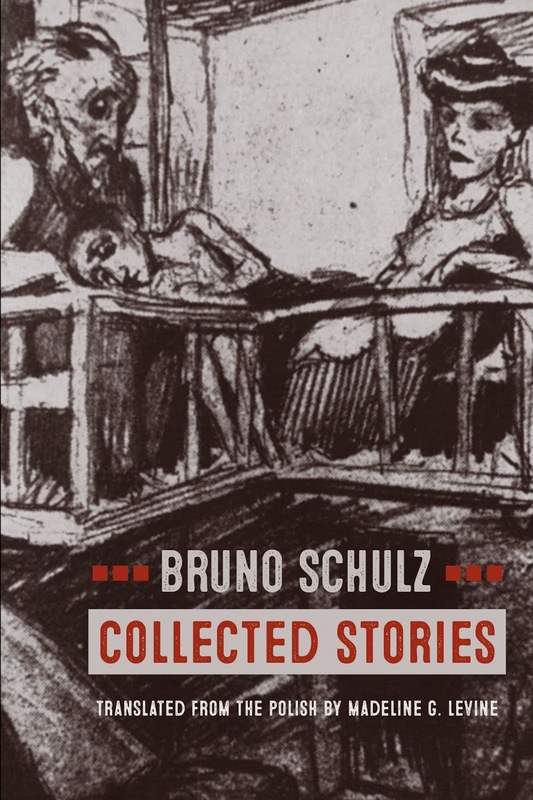 — from "Autumn" in Collected Stories, by Bruno Schulz. Summer's really over now; it did feel like wave upon wave, like megalomaniacal sighs of lovers. It was too much. "Autumn is the yearning of the human soul for materiality, for relevance, for boundaries." Is that what I crave now? I am rereading Schulz's Street of Crocodiles (aka Cinnamon Shops). It's a book club selection, so I thought I'd give the new translation a go. 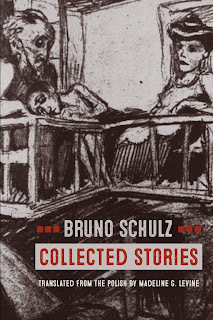 This volume includes The Sanatorium Under the Hourglass and few other stories. Like this past summer, it's overwhelmingly lush.